BULMERS-MAKER C&C has ended a distribution deal with the Pabst Brewing Company as the Irish firm struggles to crack the US cider market. In a statement issued during the week, C&C said it will resume the responsibility for the sales, marketing and distribution of its ciders in the US. The company’s US subsidiary, Vermont Hard Cider Company, will now manage its cider portfolio in America including brands such as Woodchuck, Wyders and Magners. Pabst, the largest privately-held brewer in North America, struck a deal with C&C to sell its brands in the US in 2015, with the agreement coming into effect in 2016. As part of the deal, Pabst had the option to buy the Irish company’s US assets at a value of no less than $150 million (€122 million). The American firm then had the option to extend the arrangement after two years. C&C spent €235 million buying Vermont Hard Cider in 2012 in an effort to crack the US market. However, sales have been slow, with the company’s ciders struggling to gain traction in the US. The Irish firm has massively written down the value of its US arm, which it now prices at just €45 million. Last year C&C chair Brian Stewart admitted at the company’s annual general meeting that its move into the US had been a “major disappointment”, acknowledging that it is a “tough market”. In July C&C chief executive Stephen Glancey told the Irish Times that he would be “surprised” if Pabst took the option to extend its deal with the Irish drinks firm. He accepted that Pabst would have “anticipated the business would have performed better than it’s been doing”. The company has previously defended its move into the US and expressed confidence that it could turn things around. In its 2017 financial year, C&C’s US arm accounted for just 4% of group sales and less than 1% of operating profits. The firm said it “does not anticipate any material transitional costs or change to its financial performance, prospects or carrying values in the US arising out of these new arrangements”. Pabst also has a deal to distribute C&C products in the UK, which will continue. Email “The company behind Bulmers is having big problems selling cider in the US”. 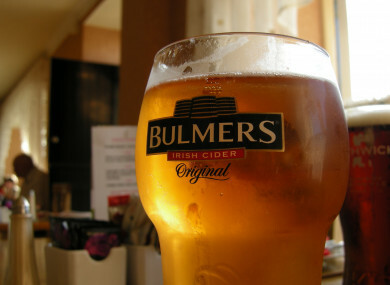 Feedback on “The company behind Bulmers is having big problems selling cider in the US”.